If you live in an area with harsh winters, you’re used to frigid temperatures and frequent snowstorms. 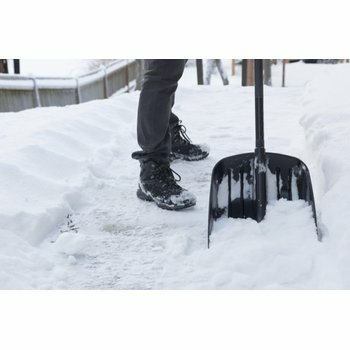 In these places, it’s a necessity to have a snow plowing service or snow blower to combat those snowstorms that pour inches of snow onto your driveway and walkways. On average, it costs about $40 each time to have a professional plowing service clear your driveway, according to Consumer Reports. If you go the snow blower route, a new model costs around $875, $10 a year for gas, and $100 a year for maintenance. However, many homeowners don’t realize there is another viable option that may offer a higher return on their investment depending on where they live. Each year, New York gets an average of 66 days of snowfall and Minnesota gets an average of 37 days of snowfall. Assuming each day of snowfall requires plowing, it would cost $2,640 and $1,480 a year, respectively, to have a professional plowing service clear a driveway in these states. If the homeowner uses a snow blower, the first year would still cost about $985. By comparison, a snow-melting system may be the best option as the tire tracks option only costs $1,600 for an average 10- by 20-foot driveway and $0.32 per hour to operate, based on $0.08 per kWh. If you live in New York, that means you would save approximately $1,000 in just the first year by using a heated driveway instead of a snow plowing service. Using the same example, it would take you about 7 years to surpass the ROI of a snow blower. What is ‘Tire Tracks’ Heating? “Tire Tracks” heating means that only part of the driveway is heated — two tire-wide strips the length of the driveway. You can save about 35 percent by heating the tire tracks instead of doing full coverage. WarmlyYours Radiant Heating offers snow-melting mats or cable for full or partial coverage. The mats feature electrical cable attached to polypropylene mesh so that it can be simply rolled out for installation. The cable allows free-forming, which is more labor intensive but also more affordable. Choosing cable can save another 25 percent off the price. To get an idea of how installation works, the video below shows a time lapse of tire track mats being installed as part of a driveway expansion. 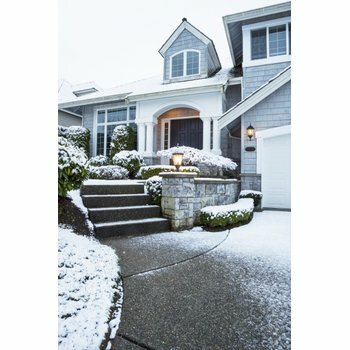 When is a Good Time to Get a Heated Driveway? 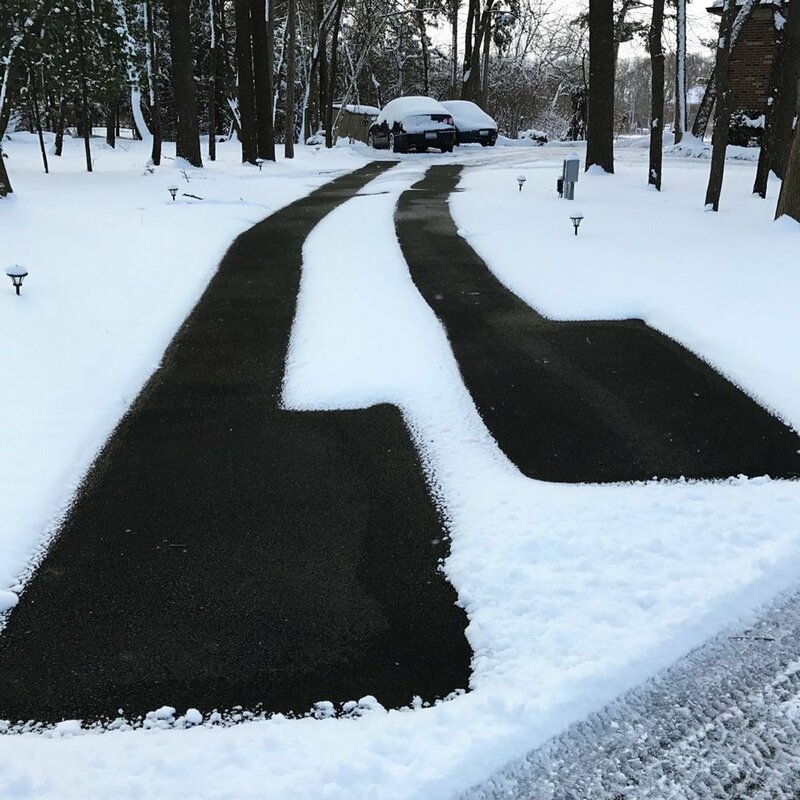 The best time for a homeowner to install a snow-melting system is when a driveway is being installed for the very first time, when it needs to be repaved, or when you wish to expand it. All of these options present an opportunity to supplement the driveway with electric heat when it’s already under construction. Why tear up a perfectly good driveway if you don’t have to? Whether your driveway is made up of asphalt, concrete or pavers, a snow-melting system can be applied. WarmlyYours’s electric cables were made to withstand up to 450 degrees Fahrenheit, which means it can handle any hot asphalt that comes its way. 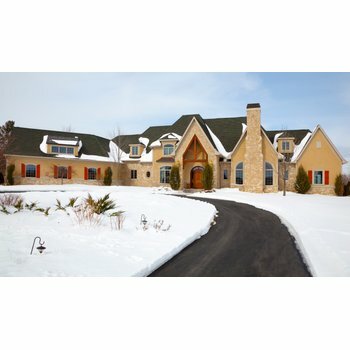 If you’re in need of a heated driveway, you can easily get a quote online at www.warmlyyours.com. Just enter your zip code, driveway material, driveway size, voltage and amount of coverage you’d like (full or tire tracks), and you’ll instantly get a quote! Or, you can get a detailed SmartPlan that includes an installation plan, an electrical plan and an itemized quote by uploading a sketch of your project online. Your SmartPlan will be compiled by a team of experienced engineers and delivered within about a day. If you’re living in a cold climate and you have the opportunity to supplement your driveway with radiant heat, don’t miss out! Your wallet will be thanking you next winter.